Is Subaru finally killing off its 6-cylinder engine? When quizzed at the 2017 Impreza launch about the flexibility of their all-new Subaru Global Platform, the answer from Subaru engineers present seem to be in the affirmative. Designed to underpin all Subaru vehicles from the Impreza onward, Subaru engineers who attended the Q&A gushed about the flexibility of the platform that allows them to manage and modify things like front/rear treads and wheelbase to accommodate different vehicles from the upcoming XV to the WRX/WRX STI and even their three-row crossover. And though it’s quite known that the Subaru Global Platform can take on both hybrid and EV drivetrains, when asked what other powertrains can be used with the platform, the Subaru engineers confirmed that aside from the FB series engines, the FA20 in the BRZ/Forester XT will fit. When quizzed further about the EZ36 (the Legacy and Outback’s 3.6-liter 6-cylinder) engine will fit, they said no. They went so far to say that the Subaru Global Platform is “not meant to fit a 6-cylinder engine”. This bit of news is all the more surprising since Subaru is engineering a competitive three-row crossover supposedly called Ascend. The demise of the 6-cylinder engine could mean Subaru will resort to using a turbocharged 4-cylinder engine like the Mazda CX-9 or a gasoline/electric hybrid to power their 7-seater crossover. 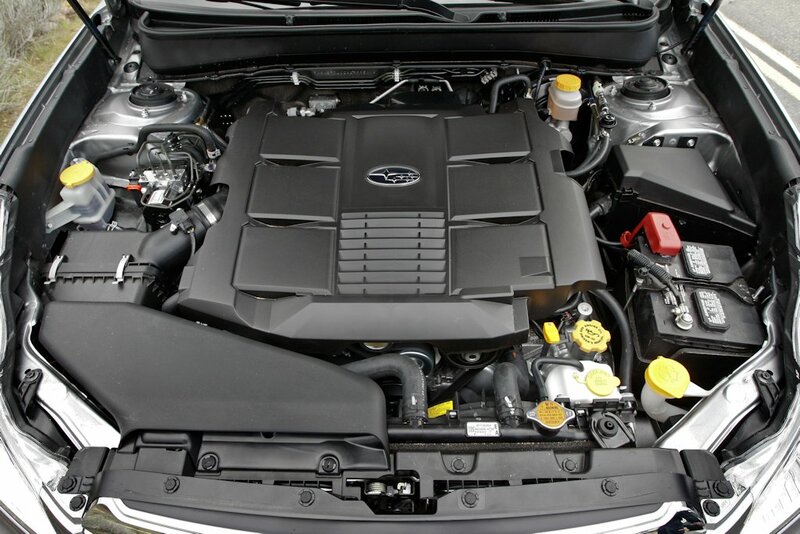 Subaru has dabbled in making Flat-6 engines since 1987 with the ER series engine. The current EZ36 dates back to 1999 when it was first introduced in the Outback. Looks like we're slowly moving to a new generation where engines are getting smaller and smaller and slowly getting electrified. Not really surprised. Turbo-4s can provide V6 power with more efficiency. I'm not just that sold when it comes to engine maintenance (i.e. price) of that engine. But I like the sound of the 6 cyl. Sound so Porsche-ish.